At Elizabeths home based studio you will be offered a free consultation. You will be taken through the process in detail including aftercare, recommended products and the total cost. At this time Elizabeth will bring out a selection of hair so that you can see and feel the different textures. The final hair drawing, custom colour blending and pre-bonding are all done in house by Elizabeth. Removing hair extensions yourself is not recommended. Elizabeth recommends that you return to see her so that she can remove your hair extensions cor-rectly and safely, to ensure no damage is caused to your own hair. If you wish to reuse the hair again, the hair extensions need to be removed very carefully in order to keep all the hair aligned in the same direction, otherwise it will be unusable. Removing hair extensions is a very simple procedure, which causes no discomfort or damage to the natural hair, leaving it exactly as it was before they were fitted. 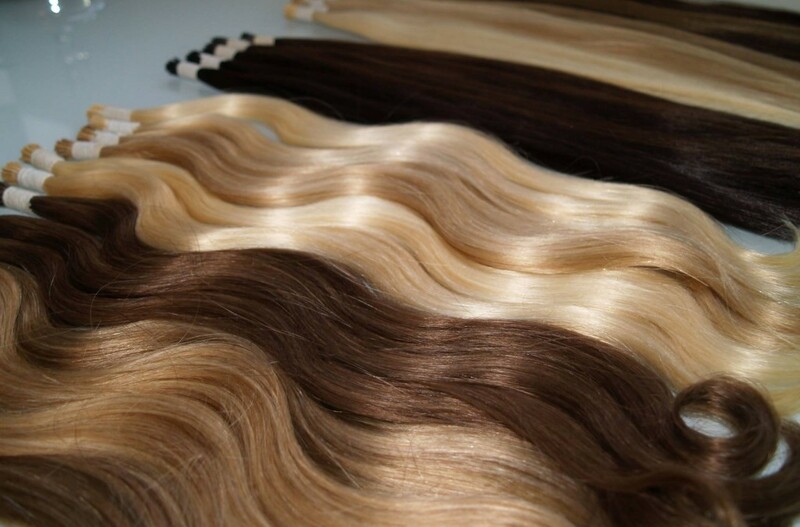 Many people find their hair is actually in better condition because the hair extensions protect the natural hair against heat and environmental damage. The hair extensions are removed by using a plier type tool to unclamp the ring, then the strand simply slides out.